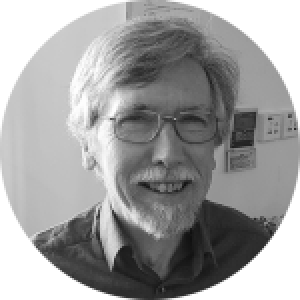 Frank is a highly skilled Consultant Psychiatrist and Neuroscientist with over 30 years clinical and academic experience in various areas of mental health. He combines his extensive clinical experience with research on the neurobiology of trauma and its underpinnings in major psychiatric disorders. His research broadly explores the intersection between affective neuroscience and the science of healing. Drawing on his fluent understanding of the brain, his work brings interior and exterior empiricism into a series of hypotheses that invites us to rethink the dialogue between therapist and client within the context of the nervous system. His work offers us new ways of thinking about how the nervous system organises in relationships, which helps in understanding why some of our clients with trauma histories remain stuck both in therapy and in life. His treatment philosophy is fundamentally relational and seeks to embed the vital links between mind, brain and body in the therapy. In his clinical work, he emphasises the importance of tracking physiological arousal states and their expression through subtle shifts in body-based defensive patterns. Frank believes that it is not possible to override state driven affective and defensive patterns without building a scaffold of neurobiological resources as a vital regulatory intervention and utilizing the wisdom of the body as a restorative bridge to healing. Throughout his career, Frank has been dedicated to exploring innovative methods for working with trauma and severe dissociative disorders along with a range of other complex mental health difficulties. His commitment to understanding the unfolding impact of trauma on developing brain systems led him to undertake extensive training in various therapeutic approaches and techniques including; Dialectical Behaviour Therapy, Clinical Hypnosis, Lifespan Integration, EMDR, Sensorimotor Psychotherapy (Level 1), Brainspotting and Resource Brainspotting. More recently he has also undertaking advanced training in Comprehensive Resource Model (CRM) as well as Neurofeedback training. He is a co-author of ‘Neurobiology and Treatment of Traumatic Dissociation: Towards an Embodied Self (Lanius et al., 2014), along with numerous other scientific papers. His most recent book is ’The Comprehensive Resource Model: Effective Techniques for Healing Complex Trauma’ co-written with Lisa Schwarz and Dr Alastair Hull published 2016. This book offers a vital contribution to scientifically-informed clinical practice. He is currently involved in a major research project with Dr Ruth Lanius (Professor of Psychiatry and Director of PTSD Research Unit at Western University in London, Ontario) using brain imaging to explore the possible neural mechanisms underpinning complex trauma and treatment outcomes specifically in relation to CRM as a key therapeutic intervention. Frank is one of our key clinical advisors on the neurobiology of trauma and its impact on the developing brain and nervous system. His current research on the role of the seeking system in mediating the urge to attach is invaluable in helping us understand the unfolding impacts of early impaired bonding experiences in shaping the attachment capabilities of the children, young people and adults who access our services. Frank is a Fellow of the Royal College of Psychiatrists (FRCPsych) and a Member of the General Medical Council (GMC). He is also an EMDR Europe Approved Consultant.